Line scan technology involves building up an image, one line at a time, using a line sensor (linear array), which passes in a linear motion over an object, or where the object passes in a linear motion under the sensor. 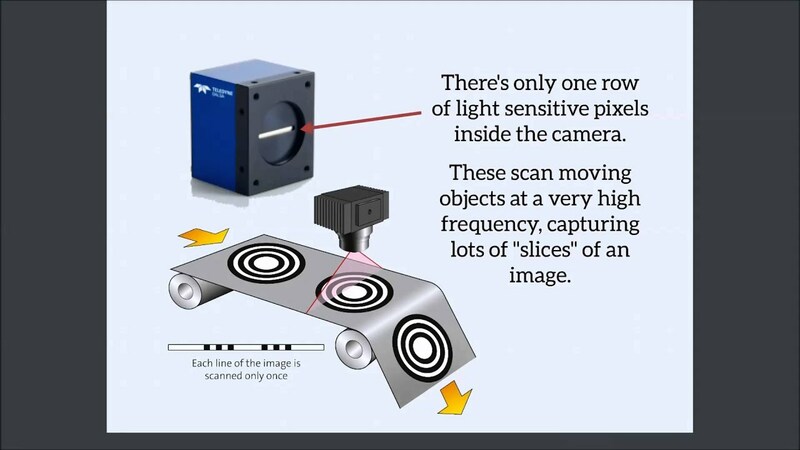 Most of the basic CCD technology is consistent with area scan cameras, although there are subtle differences and complexities to line scan image capture which generally make it a more specialist subject. Line scan technology has been in existence for many years and the most common uses include photocopiers and PC flatbed scanners, which generally have large linear arrays, equal in size to the scanning width. Although linear arrays have similar pixel sizes to area scan sensors, the line lengths can be much greater. Instead of the maximum 1-2k width common to most mega-pixel area scan sensors, a line scan sensor can have up to 12K pixels. Therefore, for a given field of view (FOV) a line scan set-up can give far superior spatial resolution. Line scan technology makes it possible to capture images of wide objects at a single pass. Using area scan techniques, a series of images would have to be captured sequentially and then 'stitched' together in software as shown in the picture on the right side. Common line scan cameras utilise linear array sensors which are typically available in widths from 512 up to 16K elements (pixels). The process of constructing high fidelity images from individual lines requires a very high degree of precision. 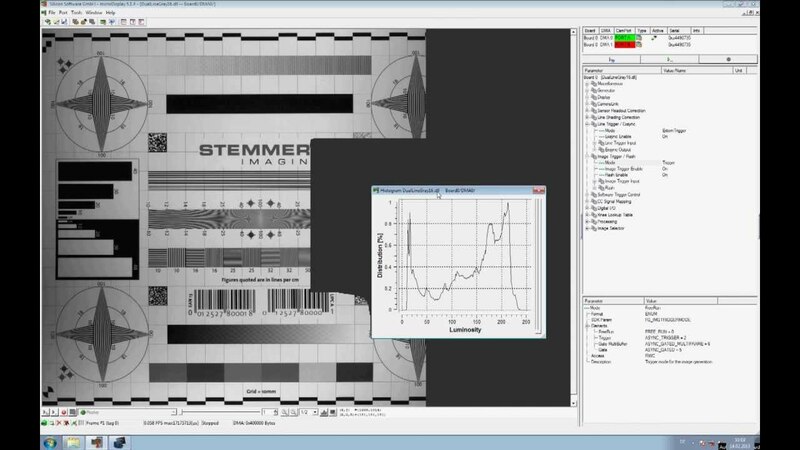 The alignment and timing of the system is critical to the resulting image fidelity and geometry and thus line scan systems are more complex to implement than area scan systems. It also has to be noted that line scan cameras also require a greater level of illumination than area scan cameras, because of the shorter exposure times. In machine vision you often hear about line scan cameras. Always wanted to know how they work? Here is the explanation. Get started with an overview about line scan cameras.